Donations to the Chautauqua Fund provide financial benefits to the Institution, like producing scholarships for students at the Schools of Fine and Performing Arts and underwriting activities throughout the nine-week season. 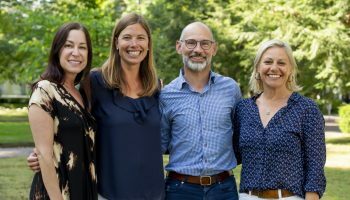 The volunteers for the Fund are structured in teams that worked to surpass the $4-million fundraising goal last season and are back for another promising summer. 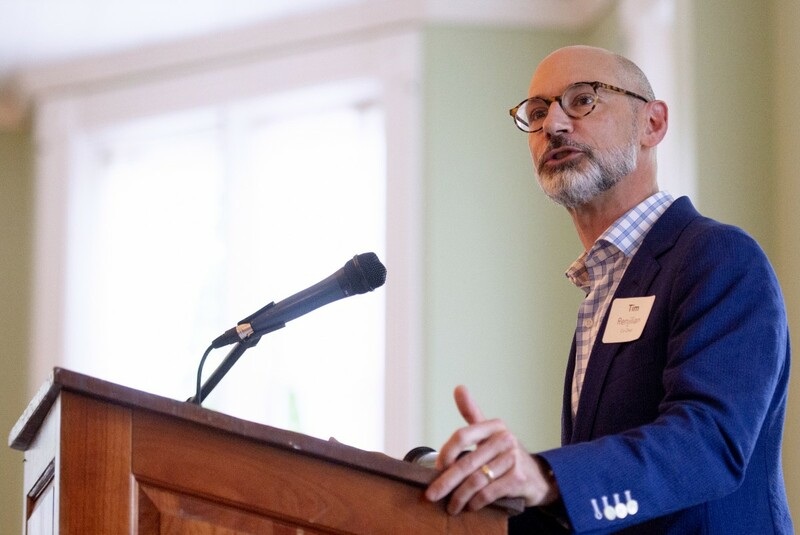 New co-chairs of the Chautauqua Fund Tim and Leslie Renjilian kicked off the new fundraising season June 23 by recognizing the efforts of past volunteers, as well as looking ahead to the future. Tim Renjilian recognized those who have volunteered in leadership positions, such as chair of the 1874 Society, Katie Prechtl Cooke; chair of the Bestor Society, Susie Kuhn; and former co-chairs of the Chautauqua Fund, Cathy Nowosielski and Jeff Lutz, in addition to team leaders and five new volunteers. 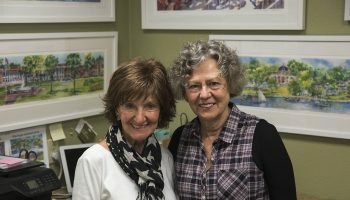 Volunteers’ time and resources help fund much of the programming for Chautauqua’s annual operating budget. 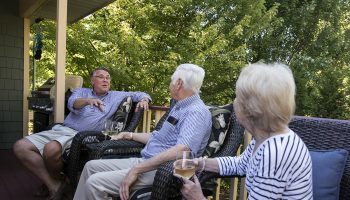 “There couldn’t be a better time to be a Chautauqua Fund volunteer,” Tim Renjilian said. He described the strong position the Fund is in compared to last year, as the Edward L. Anderson, Jr. Foundation has matched new or increased gifts to the Fund throughout the “Spring to Make a Difference” campaign that ran through June 22, and Chautauqua welcomed new members of the administration, like President Michael E. Hill and Director of Arts Education Suzanne Fassett. Tim Renjilian listed a number of changes to the Institution worth celebrating before handing the podium off to Leslie Renjilian, who introduced each subsequent speaker. From there, members of the administration updated the audience on what changes and improvements have been made at the Institution thanks to their advocacy and the generous support of the community. Hill was the first member of the administration to speak, filling volunteers in on the start of the strategic planning process. 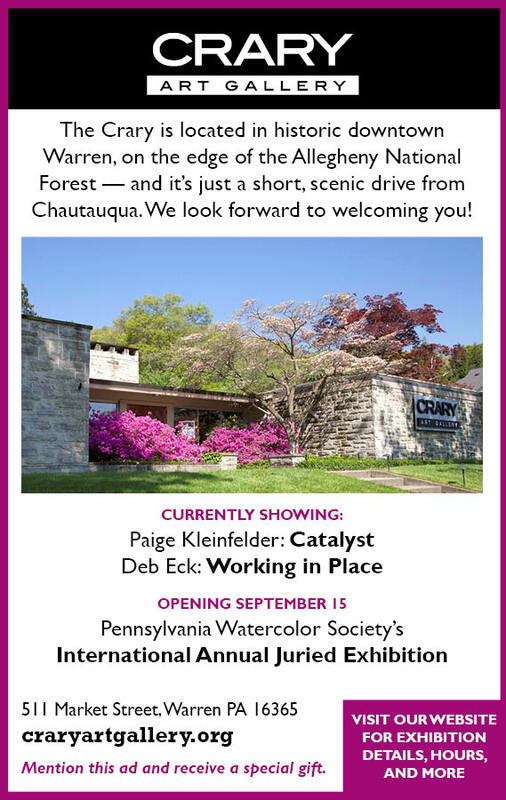 “We’re asking ourselves, ‘What is the essence of Chautauqua?’ ” Hill said. 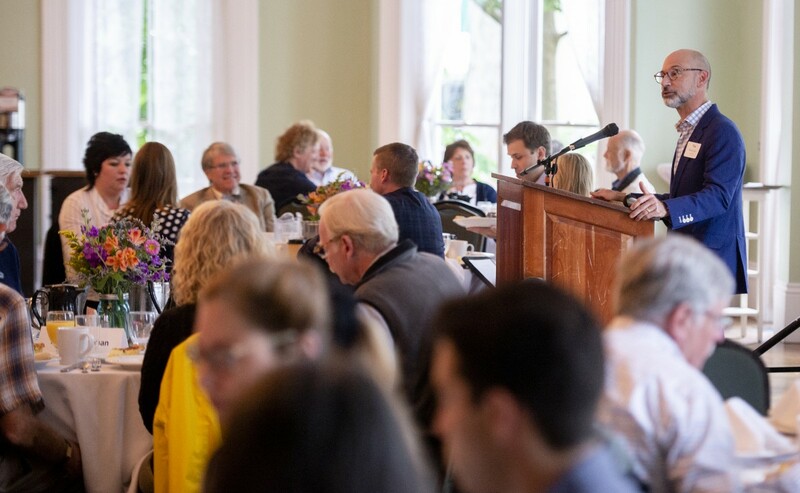 Chautauquans are encouraged to offer their input at 3:30 p.m. Thursdays in the Hall of Christ, hosted by Hill, Chautauqua Institution Board of Trustees Chairman James Pardo and chair of the Board of Trustees Strategic Planning Working Group Laura Currie. They also launched the website essence.chq.org to receive input via an online form. Hill reiterated the importance of volunteerism and fundraising before Chief of Staff Matt Ewalt spoke about some of the planned programming for the season. Ewalt highlighted many upcoming guests, like staff writer for The New Yorker Jelani Cobb in Week Two and a performance by Yo-Yo Ma in Week Seven. 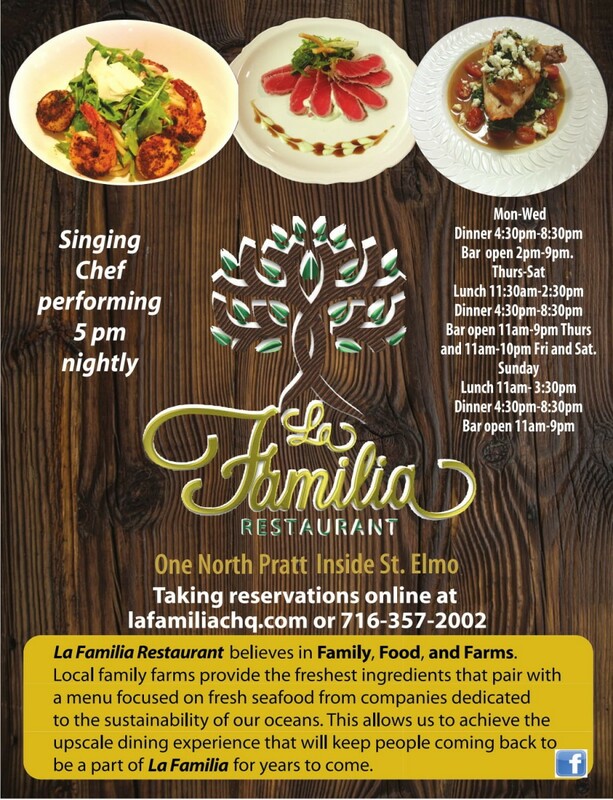 The 2018 calendar is packed with events, including over 300 performances throughout the nine-week period. Vice President of Performing and Visual Arts Deborah Sunya Moore spoke about the “new and noteworthy” aspects of the programs. She touched on changes in preferred seating to special performances like the Avett Brothers, allowing patrons to reserve seats and improve customer service at the shows. She also focused on changes made in the chamber music schedule. Thanks to a donation, chamber music will be doubled this season with the addition of a resident artist series every Saturday. “This chamber music is part of a bigger effort to make Saturdays more wholesome here at Chautauqua,” Moore said. 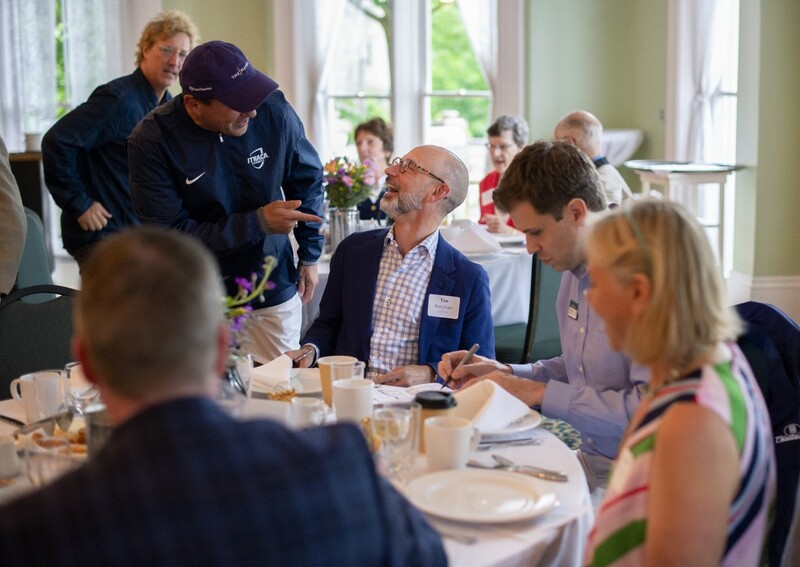 Following the announcements regarding events and performances, Vice President and Emily and Richard Smucker Chair for Education Dave Griffith shared additions to Chautauqua’s Boys’ and Girls’ Club. In Weeks One-Six, parents can enroll their children in the Club Plus program, which incorporates an interdisciplinary curriculum into the traditional day camp program. The final two administrators to speak at the kickoff were Vice President of Marketing and Communications and Chief Brand Officer Emily Morris and Vice President of Campus Planning and Operations John Shedd. 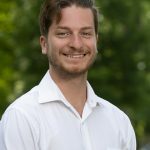 Morris discussed the launch of a new Chautauqua Institution app, DotheMambo, which is available on the app store and Google Play store, in an effort to enhance Chautauquans experience throughout the summer. The app includes the website to track bus schedules and routes, and allows Chautauquans to provide feedback on their experiences in the Amphitheater and different venues across the grounds, as well as access the online comment form for the strategic planning process. The app will also be used to update Chautauquans on programming they may have missed and other information regarding the Institution. Lastly, Shedd briefed the group on recent additions to the Amphitheater, including new benches and lights in the aisles. Also, after water damaged the original keyboard on the Massey Memorial Organ, a new one had to be imported from England, and was recently installed in time for the season. In addition, he touched on the completion of the Dr. Robert R. Hesse Welcome and Business Center, which opened Monday, June 25. The center is equipped with nine public desks with charging stations, printing services and four suites available for rental. 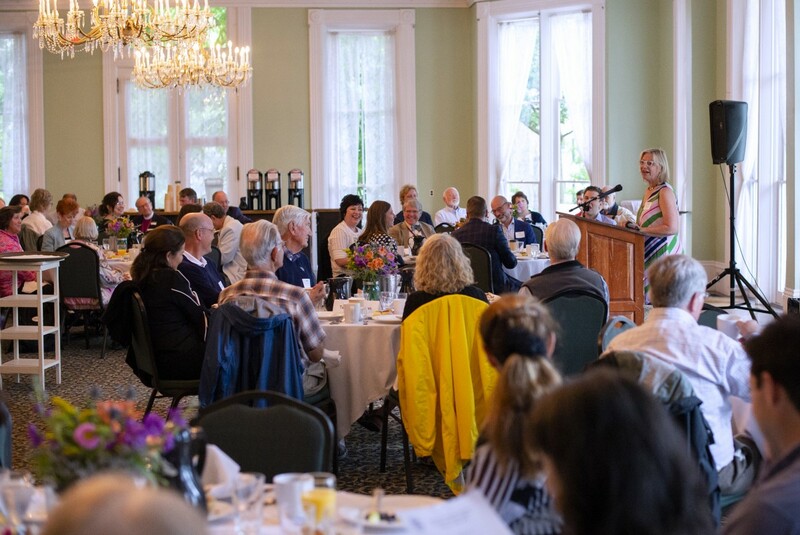 At the end of the kickoff, Director of the Chautauqua Foundation Tina Downey reiterated the important role volunteers play in the longevity of Chautauqua Institution now and into the future. 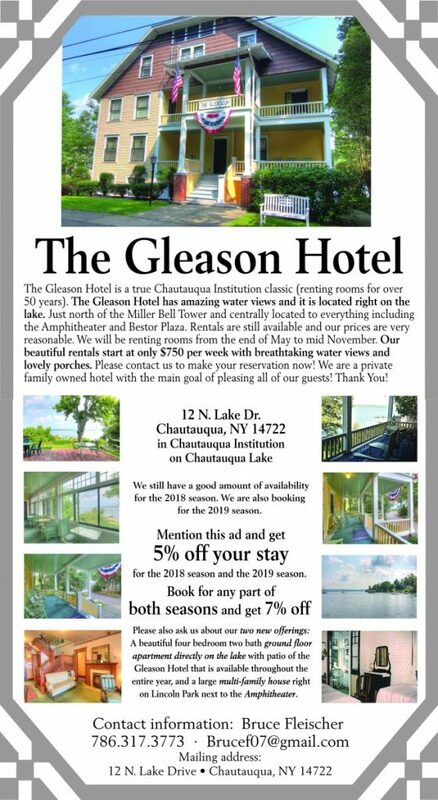 Anyone interested in serving as a volunteer for the Chautauqua Fund is invited to contact Leah Stow, assistant director, at lstow@ chq.org or 716-357-6405. 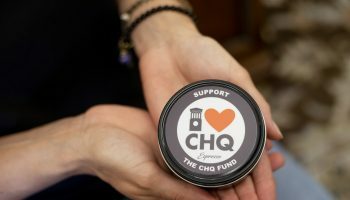 For more information or to make a gift, visit giving.chq.org.